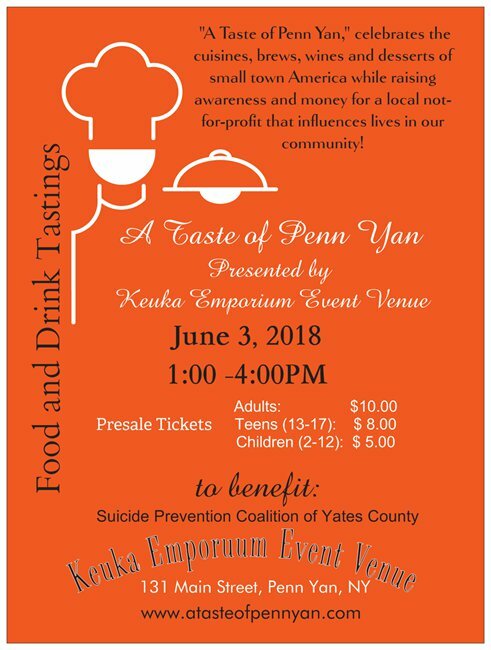 Whether you're visiting Penn Yan, NY and the Keuka Lake area or bored at home wanting to discover something fun to do, Keuka Emporium Event Venue, in association with Keuka Candy Emporium, will be hosting various events each month that are open to the public. Looking for fun family friendly adventures? We have them! Or is it time to just adult? 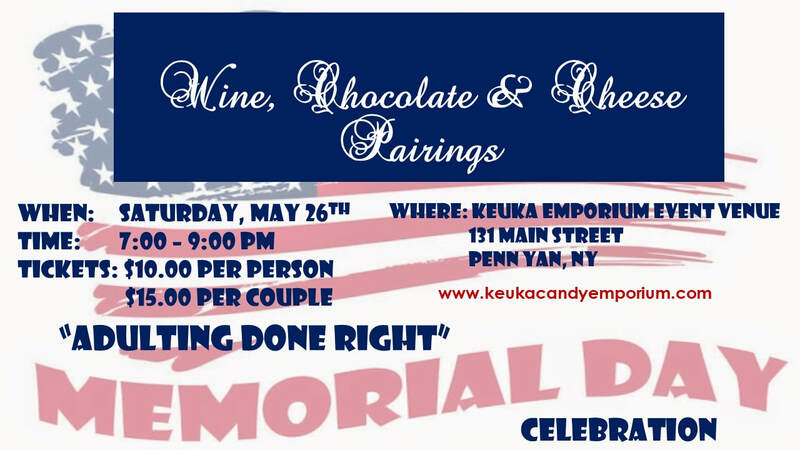 Then our "Adulting with Chocolate and Spirits" is the ticket for you. Perfect for a Girl's Night Out, an escape with your partner and friends or an adventure on your own! Check the calendar below for upcoming events. Life just got sweeter! During the months of July and August watch for our Rainy Day Pop-Up Events! Rainy Day Pop-Up Events will be posted the morning of the event on our Facebook Page.